I am excited to share this intriguing research breakthrough with all my Pilgrim in Narnia readers. As many of you know, I have been working on C.S. Lewis’ The Screwtape Letters for a few years now. It is time to invite you all into some of the things I have discovered. After presenting a paper on teaching Screwtape in 2012, I traveled to the Marion E. Wade Center at Wheaton College near Chicago. I was working on background material for my PhD thesis and was excited to make this pilgrimage. Honestly, it wasn’t going very well. I had gone to look at the marginalia in Lewis’ Bibles—to see if his notes and highlights could tell us anything about his Bible reading habits. All I really found was that the things Lewis underlined or marked seemed to be beautiful passages. Beyond that, I found very little. After a day and a half of doing routine things and not getting very far, I asked the helpful staff for their typescript of The Screwtape Letters. This was Lewis’ first popular book, and it was a treat to spend some time with the file. Though it was C.S. Lewis’s BBC talks that made his voice well known throughout Britain, his fame was begun with The Screwtape Letters. The Letters are a correspondence between Screwtape, a senior demon, and his nephew Wormwood, a junior tempter with his first field assignment. Each letter was printed serially May 2 through November 28, 1941 in the Anglican weekly, The Guardian. Readers clamoured for copies of the The Guardian, and the book that came out in 1942 was a bestseller in the U.K. and in America. Part of the fun of Screwtape is the idea that we are listening in on a conversation from another world. I was thrilled to visit the famous handwritten manuscript of The Screwtape Letters at The Berg Collection of English and American Literature at The New York Public Library in 2012. The Berg file, though, does not include the preface. Little known, seldom viewed by researchers, and not yet integrated into scholarship, the handwritten manuscript of the preface to The Screwtape Letters is still in existence. Included in the Wade’s typescript of the Letters is the handwritten preface dated July 5, 1941. What is surprising about the handwritten preface is that it is really quite different than the first edition preface or the one you see printed in your copy. As it turns out, this is a find of cosmic significance. 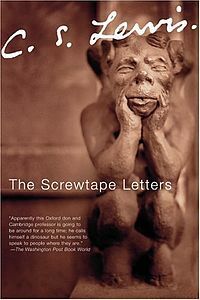 Open up your copy of The Screwtape Letters (or look in the Google books preface here). You’ll see there are four paragraphs, including the one that I quoted above—just the single sentence drawing the reader in to the correspondence which “fell into my hands”—the “my” being C.S. Lewis, the undersigned. 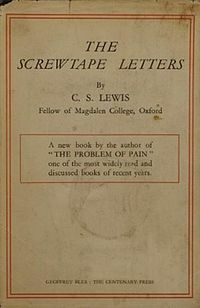 The second paragraph is about the kinds of errors we might fall into when treating with devils, while the third is a reminder that the author of the letters is not be trusted even on his own account: besides the tool of deception, a demon like Screwtape might be (and is no doubt often) self-deceived. The last paragraph deals with issues in aligning terrestrial and diabolical time. It is set in the war, but that is all we know. This is the preface that has stood for nearly 75 years in all the major editions. This, however, was not the preface that C.S. Lewis first penned in 1941. Or, at least, not precisely. The handwritten preface comprises five paragraphs, not four. Except for a couple of points, it shares with the published preface three of its four paragraphs. The first paragraph, while similar in its core idea, is differently worded and introduces a new character; this character is also the subject of an entirely new paragraph and the single change in the final paragraph. Adding a paragraph changes the length of the preface pretty dramatically. The published preface is 281 words in total; the new paragraph in the handwritten preface nearly doubles the length. The new paragraph has 201 words, for a total of 485 in the handwritten preface. While adding a new paragraph is certainly exciting, the most significant difference in the preface comes not from the length, but from a shift in content. In short, Dr. Ransom from the Cosmic Trilogy becomes a character in the Screwtape correspondence. We all know Ransom as the main character of Out of the Silent Planet, Perelandra, and That Hideous Strength—as well as the failed time travel piece, “The Dark Tower.” Although this WWII-era “Space Trilogy” is remembered only by SciFi fans and C.S. Lewis readers, I have focused a great deal on the Trilogy here on A Pilgrim in Narnia. Not only do I think they are important works on their own account, but my discovery at the Wade has made me realize how very important they are. Nothing will induce me to reveal how my friend Dr. Ransom got hold of the script which is translated in the following pages. The two introductions do the same thing, but the effect is entirely different. First, note that it is Dr. Ransom who discovers Screwtape’s letters, not C.S. Lewis. Lewis is still a character in this drama. Instead of the discover, he is the publisher—the same role that he played in Out of the Silent Planet, where he tells the story of Ransom’s trip to Malacandra in novel form as a way of getting the information out into the public. In Out of the Silent Planet, with the help of angelic Eldila, Ransom learned the Malacandrian language. He then discovers an interplanetary demonic conspiracy that is going to affect Earth. With Ransom as discoverer of these demonic letters, we are tempted to make the link between Screwtape’s approach and the conspiracy that Lewis and Ransom are trying to stop. Second, we now see that Screwtape’s correspondence has been “translated.” Dr. Ransom is a linguist—a student of words—so it is no surprise that he can work as a translator. But what is the demonic language that Screwtape uses (if it isn’t English)? And if it is a special demonic language, how did Dr. Ransom learn it? We know that Lewis has thought about the questions that world-builders ask. He thought about time (diabolical), and the nature of the characters (deceivers and self-deceived). As it turns out, he also thought about language. But it is, however, too late to make any mystery of the process whereby Dr. Ransom learned the language. The original of these letters is written in what may be called Old Solar – the primitive speech of all rational creatures inhabiting the solar system. How Ransom came to learn it I have already related in a book called Out of the Silent Planet; but when I wrote that book he and I were both mistaken in supposing it to be the local speech of a single world – that world which its inhabitants call Malacandra. We now know better, but there is no time within this preface to discuss the problems of extra-terrestrial philology involved. But it should be added that the translation is necessarily very free. The capital letters used for pronouns when they refer to that Being whom Screwtape describes as the Enemy are, for example, a most ingenious device of Ransom’s for representing a quite different (and involuntary) phenomenon in the original. On the other hand many words mentioned where Screwtape is discussing what he calls “the Philological Arm” were already English, for naturally devils whose terrain is England are well skilled in the language of their proposed victims. No time for “extra-terrestrial philology” indeed! This paragraph is a tease. Still, we discover that Screwtape was not speaking a specifically demonic language. Dr. Ransom, the interstellar philologist, learned the Old Solar language on Malacandra. Old Solar is Hlab-Eribol-ef-Cordi, the language shared by all non-human ‘rational’ beings (Hnau) in the universe from the beginning of time (or near to it). Humans have long since lost the language after the fall of Adam and Eve, but it is spoken both by the terrestrial species of other worlds—Hnau, or rational, sapient beings of various shapes—as well as the celestial beings, trans- or multi-dimensional angel-like creatures called Eldila (singular ‘Eldil’) in the Ransom books. I’m glad you asked. The implications are still being worked out. David Mark Purdy conducted a genre study of The Screwtape Letters that includes the implications of this handwritten preface. David and I have chapters that appear in a new book coming out in early 2016, called Both Sides of the Wardrobe. David will talk about his work in Screwtape here on A Pilgrim in Narnia next year. The failed time travel novel, “The Dark Tower” is considered by some as a forgery. I became convinced that it was an authentic (though not very well written) Lewis story when I saw the manuscript at the Bodleian last year. Still, some language analysis using computer models found that it is doubtful that Lewis wrote “The Dark Tower.” These studies compare “The Dark Tower” with the other Ransom books and decide, in one way or another, the data doesn’t fit. Now that we know that Screwtape is part of the same fictional universe, in the same series, written in the same period, I suspect that the kind of language used in Screwtape might create a better data set that we can compare to ”The Dark Tower.” In short, you need to run the tests again. As you might guess, there are intriguing possibilities about how we reread Screwtape as part of the Ransom Universe. More immediately pressing, though, is the question of how we read the Ransom Trilogy with Screwtape. Indeed, we don’t really have a “Trilogy” anymore, though there are other 5-book trilogies that I enjoy. We now have a Ransom Cycle, with four published books in four different genres, and an incomplete story in a fifth genre. I am working now on a paper called “A Cosmic Shift in the Ransom Cycle.” I presented my findings last year at Mythcon and received great comments back. In this paper I think about what Lewis was doing when he built a fictional world. Then I look at what it might mean to reread the Ransom Cycle with The Screwtape Letters. I look in detail at the first two chapters of Perelandra, using a Screwtapian lens to show how the books fit together. This paper was made possible by generous access to materials and support by three American archives: The Marion E. Wade Center, Wheaton College, IL; The Berg Collection of English and American Literature, The New York Public Library, Astor, Lenox and Tilden Foundations., NY; and The Christoph R. Keller Library, General Theological Seminary, NY. Permission to quote is graciously provided by The CS Lewis Company Ltd., Poole, UK. Many thanks to UPEI for a research grant that supported my travel to the Wade centre. See C.S. Lewis, The Screwtape Letters and Screwtape Proposes a Toast (London, 1961), 5. Here Lewis talks about a reader who apparently canceled his subscription because the Letters were positively diabolic. That letter to the editor was never published in The Guardian. I have only seen a single reference to the unpublished preface, and that quite recent and a footnote: Charlie Starr, Light: C.S. Lewis’s First and Final Short Story (Hamdon, CT, 2012), 118. C.S. Lewis, The Screwtape Letters (London, 1942) 9; manuscript excerpts: ‘The Screwtape Letters’ by C.S. Lewis, n.d., n.p. CSL/MS-107, The Marion E. Wade Center, Wheaton College, Wheaton, IL. Lewis describes the convention later as, ‘the imaginary C.S.L. who has somehow tapped a diabolical correspondence’; see 9 Oct 1960 letter to publisher Jocelyn Gibb in Walter Hooper, ed., The Collected Letters of C.S. Lewis: Volume III: Narnia, Cambridge, and Joy 1950-1963 (New York, 2007), 1196. Brenton D.G. Dickieson, “The Unpublished Preface to C. S. Lewis’s The Screwtape Letters,” Notes and Queries 60.2 (2013): 296-298. If you have trouble getting a copy, let me know. Italicized words were underlined in the original handwritten text. You can check the published article for words that were crossed out and rewritten. Dickieson, “The Unpublished Preface,” 297. A.Q. Morton, “Once. A Test of authorship Based on Words which are not Repeated in the Sample.” Literary and Linguistic Computing 1 (1986): 1-8; Jeffrey R. Thompson and John Rasp, “Did C. S. Lewis write The Dark Tower? : An Examination of the Small-Sample Properties of the Thisted-Efron Tests of Authorship,” Austrian Journal of Statistics 38.2 (2009): 71-82. See the original accusation of forgery most fully in Kathryn Lindskoog, The C.S. Lewis Hoax. Portland: Multnomah Press, 1988. This entry was posted in Fictional Worlds, Original Research. Bookmark the permalink. OK, I’m geeking out over this as much as I’m geeking out over the Tolkien annotated map that was just found…. wow… A built in crossover between the space trilogy and Screwtape… that’s fantastic! So, Lewis was building a “world” of his own, too, with the Ransom cycle with Screwtape filling in for some of the legendarium… how awesome is that! The difference between the map and this is that I just gave you this for free. The map is $150,000! Yes, Lewis was playing with the Ransom universe. 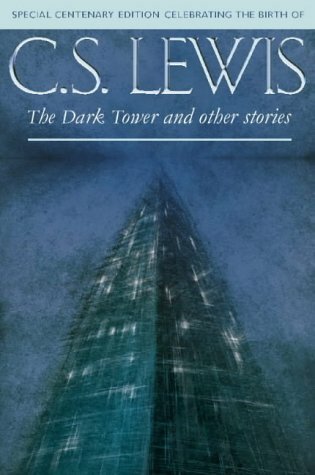 The Dark Tower failed, and he let Screwtape go without the connection. But Perelandra was being written right when this preface was being sent out, so it continued! I first heard of your blog by the “calling all geeks” post. This definitely is geek world. Watch Geekdom House for a short essay I wrote on Tolkien and pacifism. 🙂 Not saying Tolkien is a pacifist, more saying how a pacifist can be comfortable reading Tolkien. And yes, it is a geek world. As I get older, I find myself embracing my geekdom even more… you have Lewis, I have Tolkien. I’m not a scholar like you on the topic (yet) but it’s things like your little finding that make me excited to dive in to my favorite universe all the more… what secrets are there yet to find? Isn’t it EXCITING to find these little nuggets? I feel the same. It also gave me the opportunity to reread Ransom, and each time I have I find it a deeper and richer series. So this has helped me for sure. This is a great article. Keep them coming. I really appreciate your thoughtful insights into C.S .Lewis’ work. Thanks so much for the encouragement. I just followed your blog the other day. It is something I couldn’t do: poetry at that level. It takes a little while to get into, but you can definitely do it. Are you interested in starting something like that? Like a fictional world, you mean? I’ve written a YA fantasy (quite dark), and a couple of kids books, but I haven’t had a full universe emerge yet. What I mean is poetry takes time, and also so does a really beautiful fictional world. I love the original preface! Kudos on the impressive discovery! It is a nice thing to play with. Wow! Interesting! Thanks for sharing this – it really does open up some intriguing questions, doesn’t it? Do you have any knowledge as to why Lewis changed his preface to the one we now have? There is nothing written about why Lewis changed his mind (the letters of the era were burned by the publisher, apparently). But we can imagine, methinks. 1. 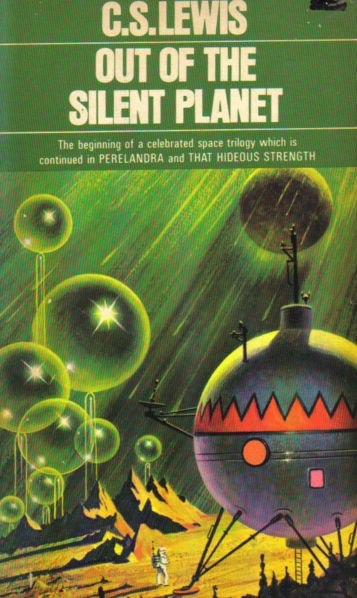 Obscurity: most readers hadn’t read Out of the Silent Planet, and Perelandra was only being written then. 2. Unnecessary complexity: the Letters stand well on their own without the alternative universe including Ransom. 3. Tolkien: this is the kind of thing JRRT would have nailed Lewis to the wall on. The letters were burned….oy!!! What you say here makes sense. And I suppose there really wasn’t much of this type of world building done then. Especially not between works which are so different, on the surface. To tie Ransom into the Screwtape Letters would have had quite a few heads being scratched, I’m sure. But a brilliant idea by Lewis, just the same! There is world-building play that is happening, but the Arthur C. Clarke generation of SciFi writers with their precise universe mechanisms are not yet born as writers. Lewis is much more like h.G. Wells or space fantasy or even Douglas Adams. Still, the instinct is to play as writers, isn’t it? Even Lucy Maud Montgomery wrote one of her Anne novels in epistolary (letter) form. Should we see the letters as part of a larger project from the beginning or a separate project which was then dran into the Ransom series? This is part of a more general question. Lewis wrote a lot for magazines and newspapers. Was he writing for subsequest collection or just for the immediate audience? Did the use of different publishers have anything to do with change? The fact remains he chose the form to publish the book in and this indicates how he intended it to be read. Incidentally you do not mention the Toast which gives you another work and another genre. I think the second–a project drawn into the Ransom world. When Screwtape was being written, Perelandra hadn’t emerged yet (that happened after a lecture series on Paradise Lost). Dark Tower failed, so there wasn’t a full “Ransom Universe”–just a Malacandra. Now, if Michael Ward is right about “Planet Narnia,” then Lewis was mapping things in his head more than we sometimes imagine. The Screwtape Letters were written in a full batch, over 6 months or so, then sent to the Guardian. Audience wasn’t much of a factor, I think. But, yes, the publisher of Screwtape (Bles) may not have been able to link a book to Bodley Head, the Silent Planet publisher. And you are totally right about Screwtape Toast! Super-fascinating stuff here – thank you! Also, I can’t help wondering about Screwtape as the first manifestation of Charles Williams ‘occultic’ influence on Lewis. 1939-41 was clearly a significant period in that sense. Great! Can I ask about that first question: what leads us to Tolkien’s Solar? Is it that Ransom is patterned (partly) after JRRT? I don’t feel Williams’ influence in Screwtape in the way I feel it in That Hideous Strength. Partly, Perelandra lacks the CW occultic stuff. 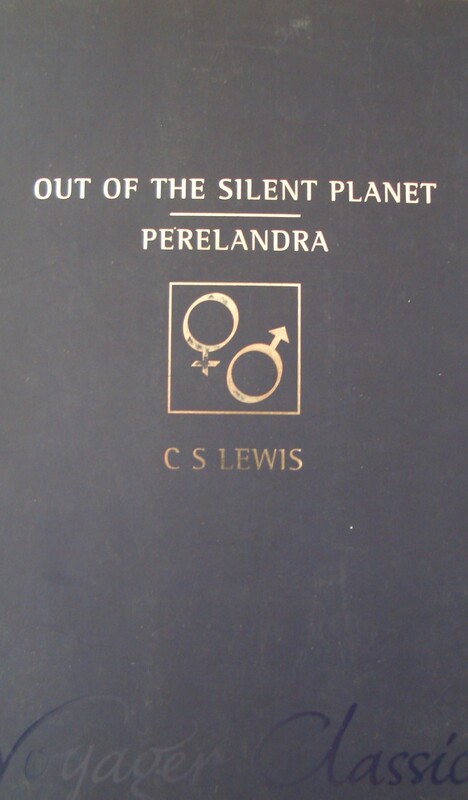 Instead, CW’s lectures on Paradise Lost invigorated Lewis’ own, which became a nonfiction book, which became Perelandra. I think CW’s interest in Arthur helped renew Inklings interest, so that we see the Dolorous Stroke at the end of Perelandra. But all Screwtape is Lewis’ pretentious, self-deluded, and largely self-critical creation. That’s my thoughts, but I’d love to be corrected! a. Yes, the Ransom-Tolkien ‘modeling’ thing, mixed with the conceit of Ransom-as-translator, made me wonder. I also started thinking about whether, in the back of Lewis’s mind, the Red Book (or Book of Lost Tales) might also have been written in Solar and received in a similar way to Screwtape, with Tolkien-Ransom as translator. b. I know that Tolkien did not like (or at least did not approve of) Screwtape, nor of Williams’ influence on Lewis. I was just wondering whether the two may be linked. Are you on facebook? I’m in a conversation with Alexander Wei on the topic of language, and he is schooling me a bit. Lost Tales in Solar–intriguing. And has Tolkien discovered the whole legendarium? I think he talked like that sometimes, didn’t he? Tolkien didn’t like Screwtape much, and it was dedicated to him! Was that a tease? That “I wondered why” seems quite curious: Lewis never said? Tolkien never asked? it never came up in any general Inklings discussion? “Says they” would seem (to me) to suggest in the first place that Tolkien didn’t believe that, but conjectured someone might snidely draw that conclusion – though earlier in the letter he says “many people still regard me as one of his intimates.” And I wonder if he may have a firm sense that the Daily Telegraph contributor has it distinctly wrong: that he was misreading the content of Lewis’s new, 1961 Preface (of which I do not seem to have a copy to hand!) – whether Tolkien knew that preface or only, from conversation, its matter. The remarks follow other examples of journalistic inaccuracy and “injustice”. Further, neither Carpenter in the Tolkien biography, Sayer in Jack, Warren in the diary selections, nor (so far as I can quickly see) Green & Hooper (1974 ed.) say anything about Tolkien not liking Screwtape. What, then, are our sources for this? Something Dale Nelson mentions below in a comment is a fascinating element in this mix, one way or another: Tolkien’s Notion Club Papers, with all its attention by Inkings-esque characters to time and space travel and languages. Nice work as always, Brenton. I am glad to see you are continuing to explore this connection, and I look forward to reading more. A question for you. You said you saw the original manuscript of The Dark Tower at the Bodleian. Do you mean manuscript literally, that is, the “handwritten” original in Lewis’s handwriting, or do you mean manuscript in the more modern sense of “original” which usually refers to a typed or otherwise mechanically produced printed copy? I am assuming you mean Lewis’s handwritten original, which would of course be very persuasive evidence that he wrote it. This has been fun to work on. Yes, the original hand written Dark Tower manuscript (MS) is in the Bodleian, with a photocopy (I think) at the Wade. Actually… the could both be photocopies of something in North Carolina (I don’t have notes here). Either way, it never got to typescript (TS). The difference is important. The Wade TS of Screwtape has small differences from the MS in New York. There is no TS of the Screwtape Preface at all, which is unusual. I went to the Bodleian open to Dark Tower being a forgery or being authentic. It could be a brilliant forgery, but it isn’t the handwriting per se that convinces me it is Lewis: it is the pattern of mistakes, dashes, underlines–all the subtlest aspects of writing. Charlie Starr is the master of the handwriting question and will confirm (though he is predisposed to rejecting the major forgery accusations). I remember the chagrin at the time when someone who had helped unmask the Hitler Diaries had examined the Dark Tower MS. in the Bodleian, was quite convinced it was Lewis’s handwriting rather than an clever forging of his hand – and then suddenly died before writing up the results of his investigation for formal presentation. I didn’t know about that for sure, but had a hint of it somewhere. There are a number of locals who are on the Lindskoog side here in PEI, so the conversation can be a little tight. But I’ve enjoyed tinkering with the idea.. 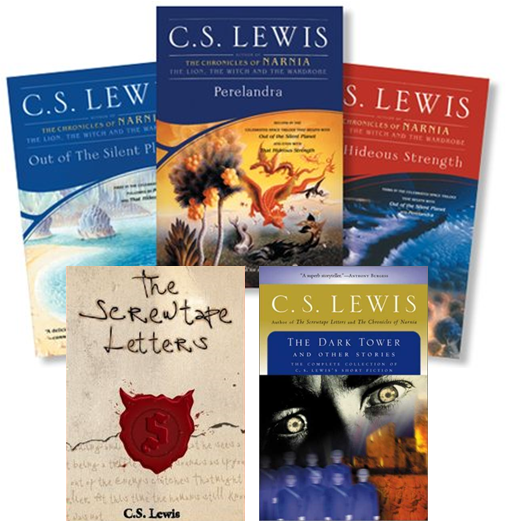 Some enterprising publisher should publish a box set of Lewis’s five WWII-era fantasies just as publishers have produced box sets of the Narnia series. This would likely bring them to wider attention and easier access. It really would. I would love to see a similar rerelease, though I would doubt it. Perhaps after my book comes out…. While I find this fascinating, I also find myself slightly perplexed as to why it wasn’t noticed before. I mean, the handwritten preface didn’t fall out of an obscure book in the Bodleian library or turn up in a book gifted to one of Lewis’s collaborators (as is the case with the Tolkien map). It is in the Wade collection so shouldn’t it have been noticed? This is a great question, and is the answer (tentative) I give in Monday’s blog. Check it out (lunchtime Monday), and let me know if it answers your question. I would like to read and respond to the paper that explores the trilogy using Screwtape. I’m working on the trilogy. Screwtape is a satire — right? So is OSP. So is the Dark Tower (my title An Experiment With Time)0. so is much of Perelandra and almost all of THS. Satirists (which Lewis was) will write satire, whatever the announced genre (vide Swift). Your discovery is certainly unexpected — and a super thing — but I wouldn’t call it surprising. Narnia is itself satiric — right? Perhaps satire in the broadest definition. It is inversive. I’ll feature a researcher next week who suggests that Screwtape is double irony–a double inversion, so not satire proper. Still, the category wavers a bit, doesn’t it? Perelandra is less satirical. It does the job of exposing, but humour is not the driving feature. I’ve read your work. You put the Ransom Cycle in the context of Defoe, Swift, Fielding, Johnson + Medieval Pageantry (if I remember correctly). I remmember liking your point that Lewis shared the same reading group as Lewis (i.e., 16th c. poets). The Dark Tower (or your title, Experiment with Time) less so, but the published Ransom books also share the epistolarity of the 18th c. English novels–Screwtape fits well into that mix. Screwtape is less fairy tale than the others. Still, I am suggesting that you and Downing are right to include Dark Tower in the Ransom Cycle. Here is a post by Brenton Dickieson about his COSMIC FIND relating to C.S. Lewis’s “The Screwtape Letters” and the whole Ransom universe. I highly recommend it! A question that is completely out of the box probably, but the Old Solar seems to be a bit like the ‘Enochian’ language which is used by occultists sometimes and which has been believed the language of the angels and the first language humans spoke (language of Creation even?). It was first ‘channelled’ by John Dee in the sixteenth century and has been in use by a lot of weird occultists since then.Was there not some influence of the order of the Golden Dawn on the Inklings? Wow, that’s a great question! I have a post on the preliminary consequences for Old Solar next week. But I know nothing of this ENochian language. There is Golden Dawn influence but it is doubtful by the time Old Solar was discovered by Lewis in 1937 that Golden Dawn was a factor at all. What resource would I use to look at it? I’m afraid don’t know about any scholarly work, it’s something I’ve encountered in discussions when engaging in interfaith dialogue with, eh, magickal folks of all sorts. While John Dee surely was a Christian of sorts most Christians would find him way too occult (not without a reason), and this kind of knowledge is mostly hidden I think and not publicly released, or can be found in a diluted form in strange-looking books somewhere in the new age store. I do know that (whether they believe in the status of an angelic language spoken by pre-Enochian humans or not) the Enochian language is still use by occultists for spell-work and such… Just google and you’ll see what I know….. Yes, Williams was part of GD, but I’m not sure how much Lewis knew about that, honestly. Silent Planet is 1937, just after their friendship by letters began. There might have been a meeting or two, but Williams did not move to Oxford until a couple of years later. However, there is a slight Enoch reference in “That Hideous Strength.” Did you know that? Ransom is going to be taken to the heavens (Perelandra, Avalon) without dying. It is said in the book that only a handful of others had experienced this–Enoch would be one of them, right? Don’t miss Sue Wendling’s paper on the angelic hierarchy (and the Book of Enoch) in CSL: The Bulletin of the NY CSL Society #452 (Nov-Dec 2012), pp. 1-10, 16; note especially p. 8. There has certainly been a lot of scholarly work done on Dee (for example, by the late Dr. Julian Roberts) – sifting the linked items in the Wikipedia article under “Secondary Sources” and “External Links” might be a good way to get started (which I have not – yet – done, myself!). One context into which Kelley’s (as I take it) ‘Enochian’ came was a wide-spread Renaissance interest in universal language (historical and otherwise) – the Wikipedia article, “Universal language”, looks like an o.k. place to get a sense of this. FRC. (I can’t recall whether Enochian may – or does indeed – come into the FRC in some form as well, or not.) My recollection is that Williams has various ‘Adamic’ and sort of ‘Ur-Hebrew’ language references scattered around in the novels, but I have never collected them and studied them systematically – but have a look at the (last chapter of the) novel Lewis and Tolkien read first, The Place of the Lion. Dale Nelson has now sent me fascinating contributions to his “Jack and the Bookshelf” series, and number 6 concerns a 1925 novel, Menace from the Moon, by Bohun Lynch, a copy of which was listed in a catalogue of Lewis’s library. He tells how Bishop John Wilkins’ An Essay towards a Real Character, and a Philo­soph­ical Language (1668) occupies an important place in the novel – a real exercise in devising a universal language including it own “hierogylphics”! It could be. I remain unconvinced about this point. Does anyone know if Lewis knew about the John Dee Enochian language (or its use in occultism)? I’ll need to think some more about whether Lewis ever gave more than a brief consideration to the idea of linking the Screwtape Letters to the Ransom books. 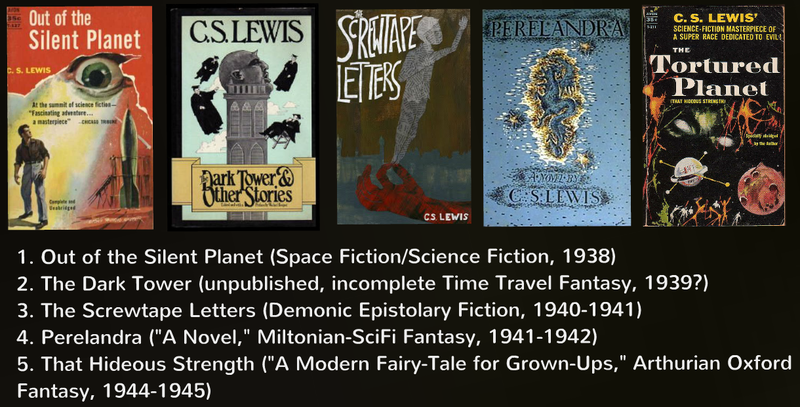 But it is interesting to think about CSL imagining an element of science fiction in connection with Screwtape. And so humans strike back at the Vitons, who are usually invisible to humans but perceptible to prepared eyes as “ultra-blue vampire” spheres. But now the Vitons have been exposed, these powers who have exploited humans for ages, promoting rumor and hysteria, inflaming race hatred and violence in the name of religion, subtly provoking humans to make war, so that the strong emotions that Vitons feed on will be stimulated. Many odd, unaccountable events, such as mysterious disappearances, sightings of fireballs, etc., turn out to have been due to Viton activity. At last, however, humans can rebel against these hidden masters. Eric Frank Russell’s Sinister Barrier originally appeared in print in the first issue of the American magazine Unknown, dated March 1939. The author (1905-1978) was British, despite his “Yank” pulpster style. A British book version appeared in 1943 from the very obscure house of World’s Work. The American specialty house Fantasy Press released a version of the story in 1948. Sinister Barrier was issued as a British paperback, undated but probably published around 1952. A list of the books in Lewis’s personal library prepared in 1969 includes Sinister Barrier, but describes it as “n.d.” (no date). It’s possible that whichever edition Lewis owned had belonged to his wife, Joy Davidman Lewis. Lewis’s copy is not owned by Wheaton College. My guess is that the missing book was the British paper edition. In a letter to I. O. Evans, dated 31 [sic] Sept. 1957, published in the third volume of Lewis’s Collected Letters, CSL says he’s read Sinister Barrier and finds it the “best of its kind.” What kind was that? Presumably, Lewis refers to science fiction stories in which human beings are secretly controlled or influenced by inhuman creatures. Is it possible that Lewis’s Screwtape Letters owes something to Sinister Barrier? Lewis did read American pulp magazines,* and it could be that copies of that issue of Unknown crossed the Atlantic soon after U. S. distribution occurred, and one of these copies came his way in time to suggest the Screwtape idea. 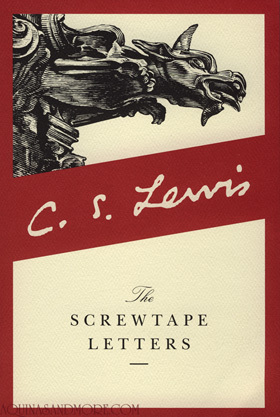 In a letter to Warren Lewis that CSL began on 20 July 1940, Lewis describes the origin of what became The Screwtape Letters. He had been sitting in church that morning and his mind wandered. It occurred to him to write a book of supposed letters from a senior devil to a less experienced tempter. (See Lewis’s Collected Letters, Vol. 2.) The possibility of influence isn’t ruled out by this chronology. 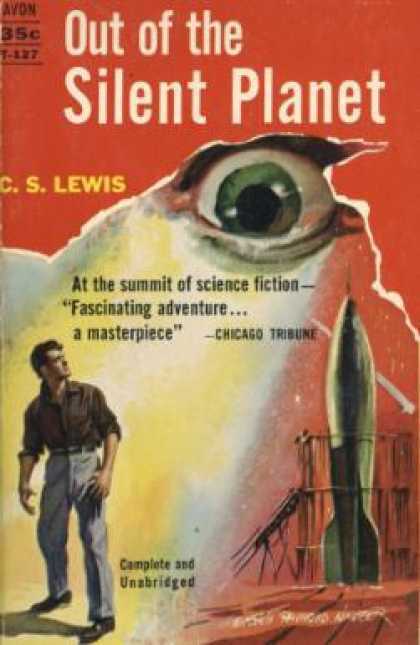 Lewis acknowledged the stimulus of other science fiction authors, such as David Lindsay, but doesn’t seem to have admitted to conscious influence from Russell. Probably, then, it would not be true to say, “Screwtape was a Viton!” Perhaps one reason Lewis was impressed by Sinister Barrier whenever he did read it, was its thematic affinity, despite Barrier’s slam-bang pulp-mag style, with his own book, already written. *See my article “Is Lewis’ Ransom Trilogy Indebted to ‘Yank Magazine’ Science Fiction?” CSL: The Bulletin of the New York C. S. Lewis Society 37:4 (July-August 2006; Whole Number 414): 18-19. Thanks for the note! I did not see this in the CSLNY Bulletin. I have some older ones and subscribe now, so have missed some. I’m glad you posted what you did. I will have to read that book. Thanks for the hospitality for that piece. I’m looking to begin a rereading of Screwtape today, with your discovery in mind. These are exciting times for Inklings fans. Back in the early Seventies, we fans had no idea of the treasures and discoveries that would be forthcoming even in the year 2015! No three fat volumes of Lewis’s letters nor his diary; no Tolkien letters nor Silmarillion, let alone History of Middle-earth (which such fascinating material as The Notion Club Papers) — and so much more. It really is an exciting time! Each month it seems there is something new from that generation of writers. Christopher Tolkien and Walter Hooper were one generation of contributors. Now with some less commercial items ready to come to print (like this), it is great to be involved in a new generation that shrinks the manuscript world so the fictional worlds are known to everyone. It’s not even just a matter of print things. We’re also benefiting from audio relics of Lewis and Tolkien. The item that would be so cool — but I don’t suppose it will surface — would be the tape recording of the conversation on science fiction with Lewis, Kingsley Amis, and Brian Aldiss. The transcript, of course, has appeared here and there; but what fun it would be to hear them talking, the sounds of drinks being poured, and all. I wish, at least, that we could know what happened to the tape. That would be amazing! Wow, I had not thought of what was possible, though unlikely. Back in the convenient days of active membership in the Oxford Lewis Society, I always used to read the Bulletin when ‘our’ copy arrived. Is there any easy way for people stuck in villages in the middle of nowhere (in terms of great libraries) to get access to the fascinating-sounding articles you mention? DLD, Send me an email to extollager AT gmail dot com, and I can send you pieces I’ve written if you’re interested. I could also scan the Wendling article for you. This is so cool!!!!! I read Out of the Silent Planet junior year of highschool but I nevr got around to the other two. I’ll have to do that now! And if you still need someone to read your paper, I would love to. It is kind of cool, Lauren. The 4 books together make for 4 very different reading experiences. So I’d encourage you to give it a try! This is probably how I’ll procrastinate studying for finals. My mind is officially blown… especially having just finished The Dark Tower, and having been drawn back into that ‘universe.’ Thanks so much for sharing this! Thanks for this. It is a fun idea!